The workplace over the last 50 years has transformed and even within the last 10 years, has dramatically evolved. There are entire jobs that never existed before and technology that has completely changed our way of life. But what about the next ten years? And the ten years after that? What will the office of the future look like and how will the workforce be mobilised? Of course we can’t say for sure, but in this infographic we’ll make some predictions based on the trends that are currently unfolding. We’ll look at how robots are taking over some of the jobs that humans used to do and how Artificial Intelligence could see the end of traditional ways of working. Find out if your job is at risk from a robot takeover and what new jobs might be needed. Even your commute to work will be influenced by AI design. Will it be better and easier? We’ll let you decide. It’s interesting stuff and it’ll be fun to look back on this in 30 years or so and see if we were right! Read on to see how you might be affected by the Rise of the Machines. 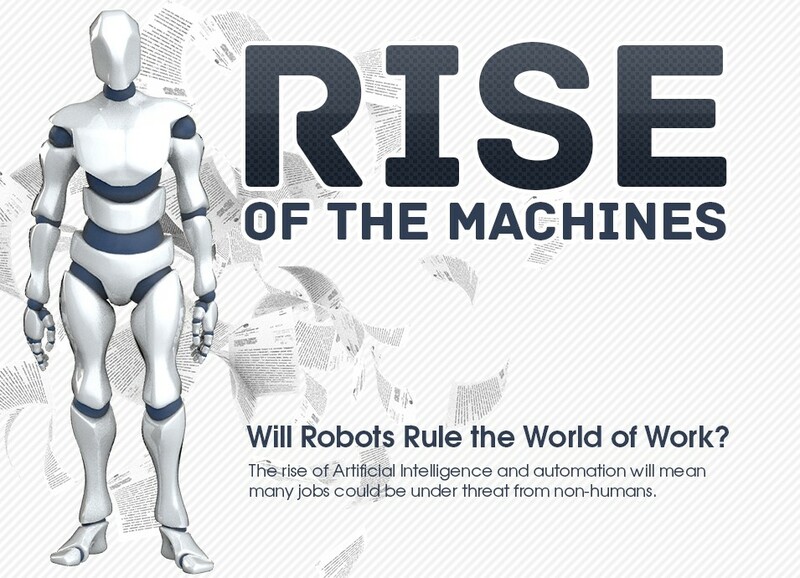 <a href=”https://www.euroffice.co.uk/blog/rise-of-the-machines/</a”> by </a><a href=”http://www.euroffice.co.uk/”>Euroffice</a><a href=”https://www.euroffice.co.uk/blog/rise-of-the-machines/</a”>. <a href=https://www.euroffice.co.uk/blog/rise-of-the-machines/</a”> by </a><a href=”http://www.euroffice.co.uk/”>Euroffice</a><a href=”https://www.euroffice.co.uk/blog/rise-of-the-machines/</a”>. Do You Do Your Deskercises?